I love, love, LOVE these mashed potatoes. One pot, 30 minutes and done. Fluffy, creamy, perfect, easy. Infused with an herby butter if you want to go to the next level, or made simply with butter and I WILL be making them for Thanksgiving. 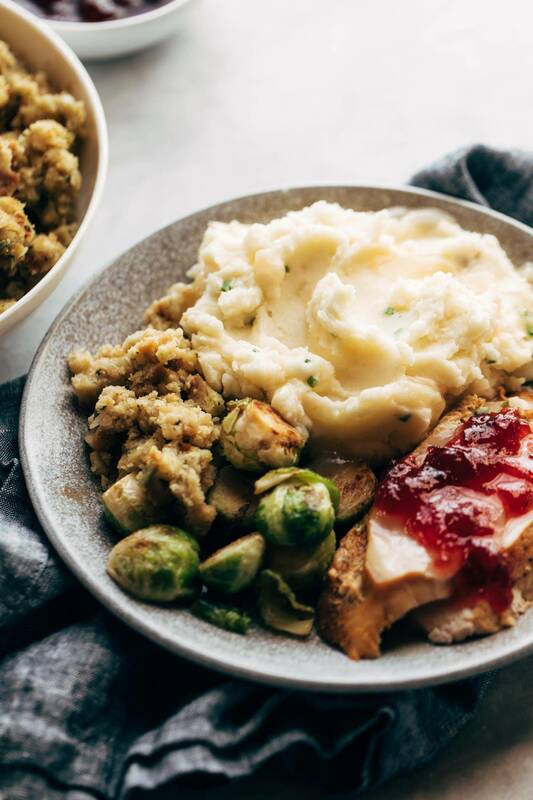 I love these mashed potatoes and I love all of the Instant Pot (affiliate link) recipes we’ve been doing lately and I am feeling as inspired as ever with what I’ve been cooking. But I have to be honest with you: lately writing about food has felt like a total drag. One of my favorite life mindsets is if something doesn’t feel right, you can almost always change it. So rather than fight through writing about mashed potatoes and feel like it’s not genuine, I decided to change it up. To video. LOLS. Maybe it won’t be a forever thing – maybe it will just help get me (and therefore us) out of a slump of how to best communicate my love of all this good food. Or maybe I’ll do one video and then realize I got my writing mojo back. Or maybe we’ll do video FOREVER! The only predictable thing about me is my unpredictability. I’m fun to be married to. Point being: I love this blog even if I sometimes burn out on parts of it, and I’m excited to check in with you almost actually face-to-face today to keep things fresh and real. THE INTERNET IS AMAZING, RIGHT? 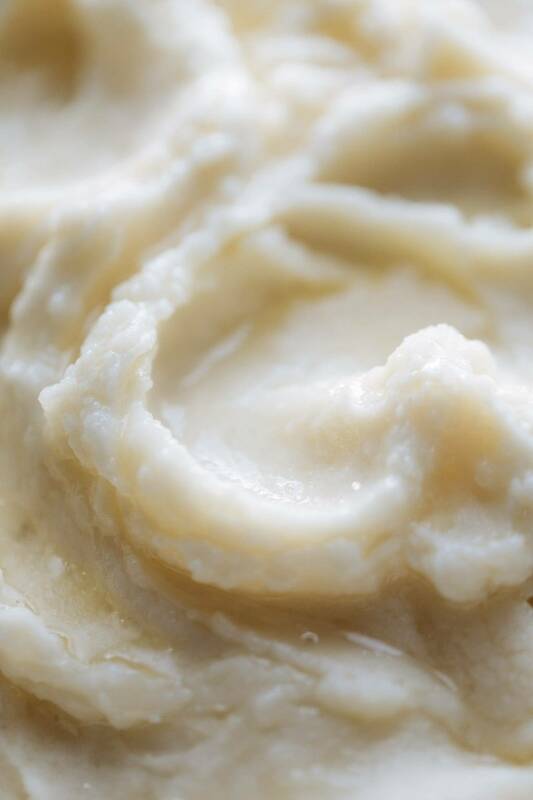 Mashed Potatoes made in the Instant Pot! They are so creamy, so fluffy, and SO GOOD. From start to finish in 30 minutes, all in one pot! Cook the potatoes: Peel the potatoes. Place in the Instant Pot (affiliate link) and cover with water (about 4 cups). Add a teaspoon of salt. Cook on the steam setting for 12 minutes. Release steam right away. Drain. Mash and mix: Using a potato masher (ideal) or the back of a wooden spoon (workable), mash the potatoes. Let the steam escape for a few minutes. Then mix in the butter, olive oil, cream cheese, Parmesan cheese, and the rest of the salt. Season generously with salt. You’re done! So good, so easy. NEXT LEVEL PRO TIP: While your potatoes are cooking, melt the butter and olive oil in a skillet. Add the smashed garlic cloves and sprigs of rosemary, thyme, etc. and let them hang out over low heat for a while. When everything is bubbly and smells really good, and the potatoes are done, pull the garlic and herbs out and discard. You are left with garlic-herb-infused butter! It tastes like Thanksgiving! YUMMY. If you want to be fancy, transfer the potatoes to a baking dish, place small cubes on butter on top, and place in a hot oven to melt the butter before serving. Sprinkle with chives and be proud of your fancy self. Russet potatoes are key for getting the right texture! I made these with Yukon Gold potatoes once and they were also good but a little sweeter and more dense. To prevent lumpy potatoes, make sure you mash the potatoes right after they are done cooking. Don’t let them sit around in the Instant Pot for too long. I gotta agree with your point on the fact that instant recipes are very useful in everyday cooking or even life. I’ve gotta say though, nothing is better than a video to give you a better visual, 10/10 on that part. My mom used to make amazing mash potatoes that I really enjoyed when I was younger and still do. How about mushroom shephard’s pie? Or with lentils? Because I want a good veggie shepard’s pie please! I love the video!! I will definitely try this recipe this weekend! I’ve never used olive oil in mashed potatoes, so I can’t wait to see how it will taste. Yummy! I do love mash potato but I do add way too much butter…but it just tastes so good! I just bought Instant Pot and be looking for some recipes. Thanks for mashed potatoes,it’s easy to start. I just found your blog searching for ideas on a capsule wardrobe. But wow, it’s a food blog! Love it. Can you make this recipe a day ahead of time and heat it up in a casserole dish on thanksgiving? 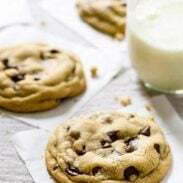 I just made this recipe and it’s GREAT! I doubled it (cutting the potatoes a little bit to fit them under the max fill line) and it worked out great. I was so surprised at how easy and delicious this recipe is. Perfect for thanksgiving! Glad it worked well to double the recipe. I made a single batch this time, but planning to double for Thanksgiving with my family! Would this recipe work just as well if you double it? His was so lively and cute and a nice change from reading blogs all day (my new “job” in MEtirement.). Your bubbly and genuine personality really shines through here so take a well deserved blog break and video away! I feel like we are face timing because you connect so well! Is there room in the Instant Pot to double this recipe or will I need to do to batches? Love the video, just bought a instant pot yesterday can’t wait to use it, keep the recipe coming. would love if you showed how its used. Lindsay, Thanks for the post. I found this post on the right time i.e Thanksgiving. I will keep you posted how i like it after the Thanksgiving. The instant pot is on my Christmas list. Can’t wait to experiment with it. Thanks for the ideas! I didn’t see many comments on the actual recipe so wanted to add one: these are the best mashed potatoes I’ve ever had. Hubby too – he licked the beaters after I mixed everything together. I did the garlic/herb , infused butter and … amazing. Changed nothing except multiplied everything in the recipe X 1.5. Fantastic, thanks! Great presence on video. You should probably set up a Youtube channel (easy) and do frequent vlogs (not as easy). There is $$$ potential. Not sure you have similar potential with Vimeo. Do MORE!